As a movement against the male-driven world we live in, Ashley Kervabon has created and launched an organization of women that supports and promotes female artists in the music industry. #WomenCrush–aptly named after the hashtag “WomenCrushWednesday”–gives up and coming musicians a chance to showcase their talents in a comfortable environment. #WomenCrush originated in Portland, Oregon, where its founder resides, but has gained the attention of local media outlets in major cities across the States including Los Angeles, Nashville, and even New York City. Every month in Portland, Ashley hosts a showcase for a handful of musicians to perform in, and she’s recently started a showcase in New York City as well. The very first east coast showcase was on May 20, 2017 and exhibited three artists alongside Ashley herself. Next to take the stage was Jackie Paladino, whose music is soulful and poppy. Supported by a single guitarist, she performed her original songs with glass of wine in her hand and her soul as vulnerable as her bare feet, giving the illusion of a young and endeavoring Amy Winehouse. Her set mellowed out and won the hearts of the growing crowd. Kiirstin Marilyn was the third artist in the lineup, and by far the most energetic of the four as she dominated the tiny stage. With a dubstep backing track, lead guitarist, and powerful political message, she bewitched the crowd both on and off the stage. And finally, #WomenCrush founder Ashley Kervabon herself took the stage, sitting at the baby grand piano with a tattered song book and her heart on the ivory keys. She brought the audience back down with sincere and personal songs, both in English and Spanish, bringing the New York City showcase to a well-rounded close. The #WomenCrush NYC showcase was enthralling from start to finish. For those interested in becoming part of the movement, there are links down below! 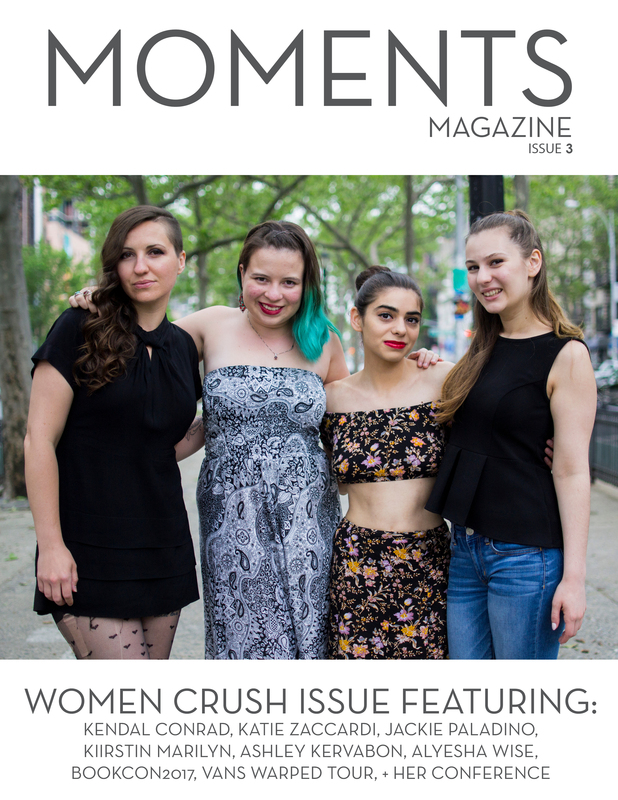 The ladies at #WomenCrush are welcoming, empowering, and open to help women get started in the music industry.